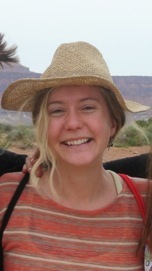 Sarah Stockdale, Storytelling Intern, is originally from New Mexico. She graduated from Colorado College, where she got a degree in History-Philosophy. She has recently fallen in love with using radio and film as a way to capture local stories. This spring, she produced a series about environmental issues and identity in southern colorado for her local radio station. She is thrilled to explore Alaska for the first time and be the storytelling intern for the Sitka Conservation Society.